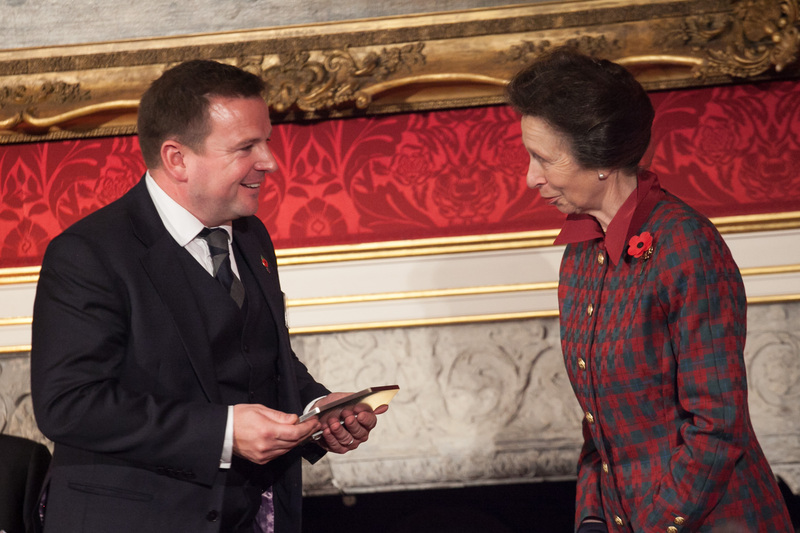 Mander Duffill receive prestigious training award from HRH The Princess Royal at St James’s Palace ceremony. 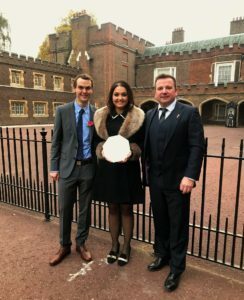 Mander Duffill are celebrating after being commended for their commitment to training and skills development by Her Royal Highness The Princess Royal at a ceremony at St James’s Palace in London. Mander Duffill were one of 40 companies awarded The Princess Royal Training Award, all of which demonstrated their ability to create lasting impact by successfully linking their skills development needs to their business models. Other recipients of the award were from across the public and private sectors and a wide range of industries, including Barclays Bank, RBS, Waitrose, HMRC and Mercedes-Benz Cars UK. Mander Duffill are the only accountancy firm in the country to receive the award. The award recognises the development of a successful apprenticeship scheme which transforms local school leavers into confident accountants. By offering apprenticeships, which include on the job training in our office in Chippenham town centre and technical skills courses at Bath-based White Horse Training, we have significantly increased the number of staff and demonstrated that training can have a significant impact on productivity and business success. The Princess Royal Training Awards are delivered by the City & Guilds Group to highlight the value of training and employee development and celebrate examples of best practice. Companies are assessed against three Hallmarks of Excellence by the Princess Royal Training Awards Commission, which comprised of HRH The Princess Royal and seven leading figures in the business and training community. Julian Duffill receiving the Princess Royal Training Award from HRH Princess Anne at St James’s Palace on Thursday 2 November. Chris Jones, Chief Executive of the City & Guilds Group added: “It’s fantastic to celebrate the second annual Princess Royal Training Awards and honour Barclays Bank, RBS, Coventry Building Society and Mander Duffill in the financial sector. It has never been more important for Britain’s businesses to invest in training to boost their productivity, address skills gaps and develop their leaders. Andy Davis, Olivia Adlam and Julian Duffill at St James’s Palace on Thursday 2 November.